A powerful 16-bit Clone Tool which extends the previously implemented SRD function has now been developed. Major defects and severe scratches on the image can easily be removed or corrected. 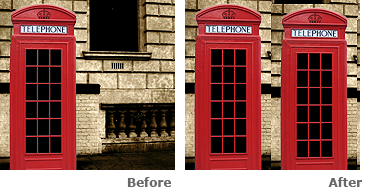 Entire areas of the image can be removed, retouched and altered. SilverFast Ai Studio can now be used for complex catalog production - without the need for additional imaging programs or tools. This tool is included in SilverFast Ai Studio, DC Pro Studio and HDR Studio.